Manufacturing - Summit Polymers, Inc.
Our customers rely on us to create quality products, quickly and efficiently. As early adopters of the Toyota Production System, we are a lean, nimble and fast-paced workplace with a strong track record among vendors and customers. 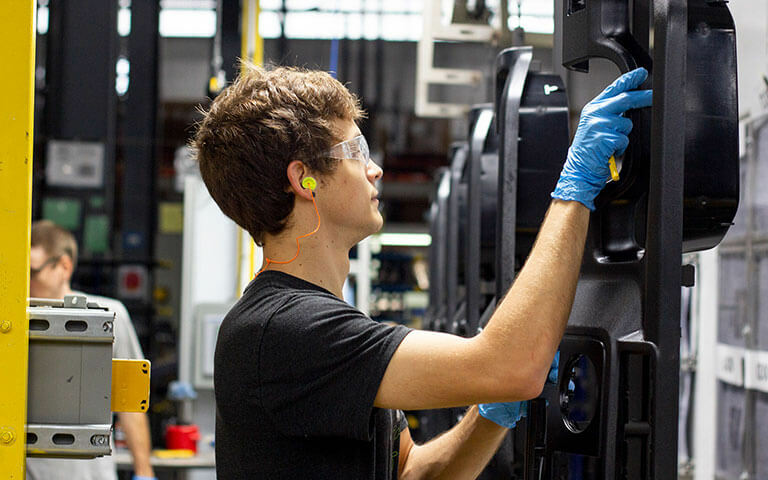 We practice one-for-one production to confirm quality at every step and deliver Just In Time. Across our 10 manufacturing locations, we have over 280 injection molding machines with automation for part load, unload or both. Our management is dedicated to level loading to minimize inventory and keep our plants operating according to lean manufacturing procedures. We standardize our processes across our manufacturing facilities to ensure all customers receive exceptional results, no matter where they are in the world. We provide a variety of value-added solutions beyond injection molding, including extensive decorating technologies.